Rapid Micro Biosystems, a leading provider of automated, non-destructive, rapid microbial detection, today announced a sales and marketing agreement with Life Technologies Corporation, a provider of innovative life science solutions. For quality control microbiology customers, the agreement combines best in class automated microbial detection and enumeration with gold-standard microbial identification. The agreement leverages the strengths of both companies, benefiting customers who struggle daily with time consuming, manual processes, and product safety testing where accuracy and time to results are critical. The goal of the agreement is to maximize industry adoption of the complementary technologies. The Growth Direct™ System from Rapid Micro Biosystems enables rapid microbial detection, and the MicroSEQ® Rapid Microbial Identification System from Life Technologies facilitates accurate bacterial and fungal identification. For more information, visit www.rapidmicrobio.com/automated_sample_control. 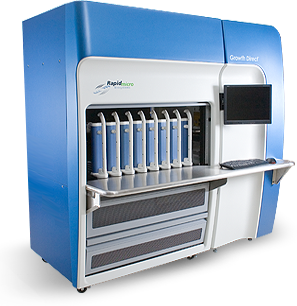 Rapid Micro Biosystems, headquartered in Bedford, Massachusetts, provides innovative products for faster, automated detection of microbial contamination in the manufacture of pharmaceutical, biotechnology, and personal care products. The company’s Growth Direct™ System detects contamination earlier, delivering compelling economic benefits to manufacturers while improving their quality process. The Growth Direct™ System is the first and only automated system that accelerates testing, fits with current regulatory practices, and addresses all key applications. For more information, visit www.rapidmicrobio.com.